Hot on the heels of last week’s collectioneering of a Xantia, another collection starts here and now. Well it is probably a collection as long as the car is as described, but I am optimistic. Clues. It’s enormous yet quite cramped. Never had one before and it could be considered blessed, saintly even! 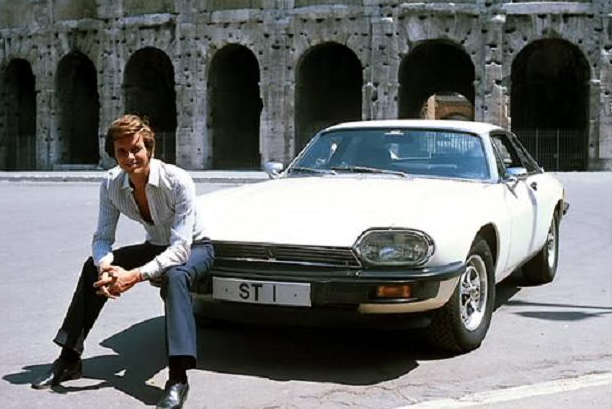 Was going to say, another Jag? 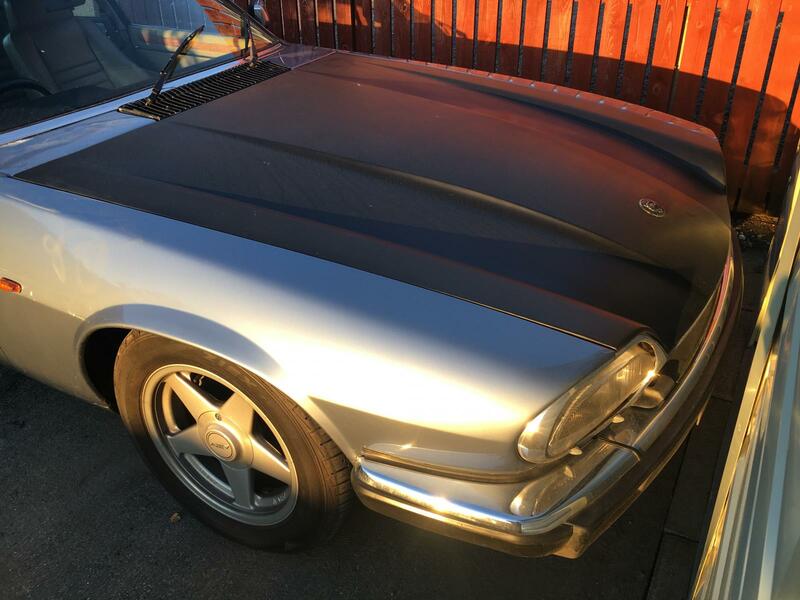 It’s got to be that xjs I posted on the eBay thread. Go on then - what's the state of the rear chassis over the axle etc... and the crossbeam(?) is apparently a nightmare if gone. 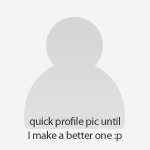 I take it they're all solid enough…..
Nice. Although I'm sure Junkman will be along shortly to inform you that you only half the requisite number of cylinders. I did love my XJ-S, as shonky as it was. Sadly decent ones are now beyond my modest means. So it got home 100 miles without an issue. I didn't actually drive it, I was driving the Xantia of excellence since my insurance isn't flexible enough to drive home a car with someone else's insurance. I'll run it for a bit though. 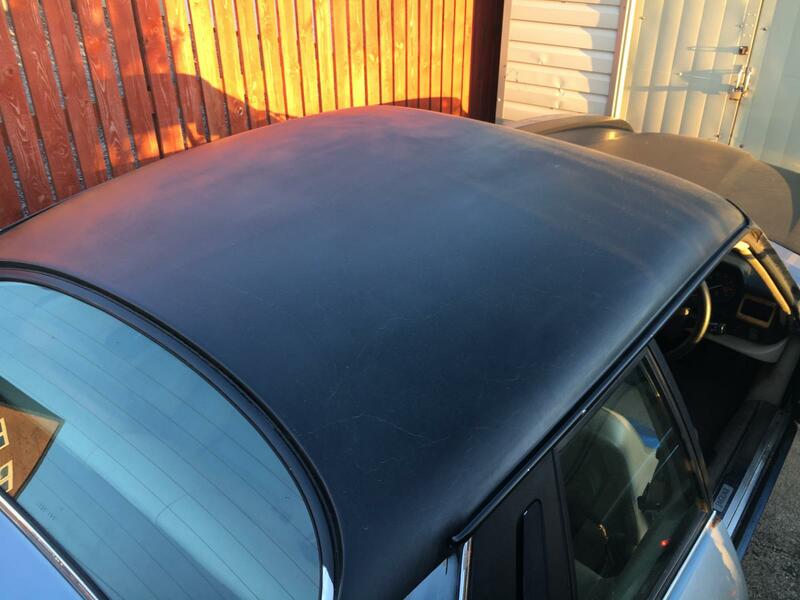 It looks pretty terrible (weapons grade Autoshite) on top due to the blackboard paint in the roof and bonnet and at other random spots. I think whoever took a rattle can to it was drunk at the time. The sills, wings, boot floor, outer and inner arches are all there. I'm getting the impression that it is relatively solid underneath but ugly on top. Obviously it has had plenty of welding done over the years. The interior is a bit of a mess at the moment, but that can be fettled with. The trip computer works. At any rate yes this is a reckless buy, but the price was less than a lot of those sold for scrap, so hopefully I'll come out on top. Did anyone notice this is a 3.6 manual, which is the real point of getting it? The gearbox, engine and brakes all appear good on first inspection. So the mission is to find a pro who can do something about the paint at a good price. Doesn't have to be anywhere near perfect, just presentable. Then it will be a totally different car. Suggestions welcomed. 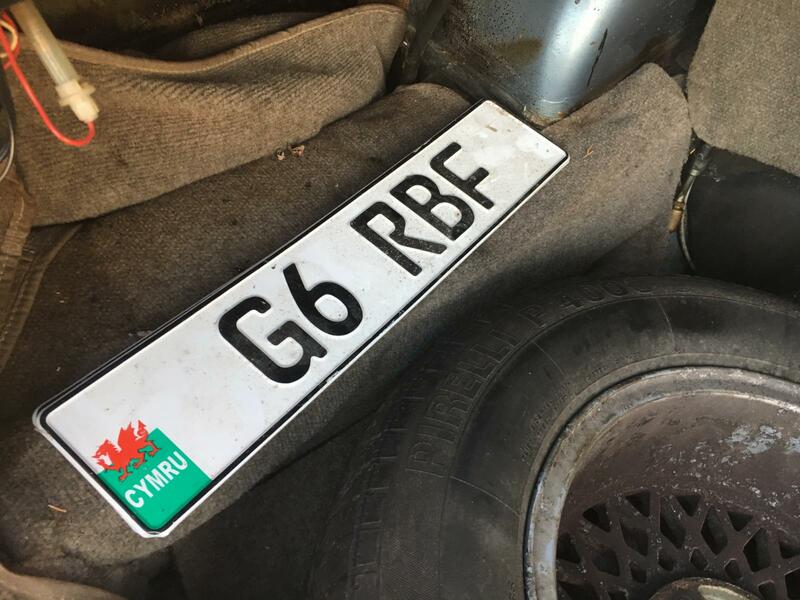 Spare number-plates should meet with the approval of Mr. Hubnut! Sublime chap, love the roof in particular! Bargain! Manual and that straight 6 is a winning combo. Good luck! 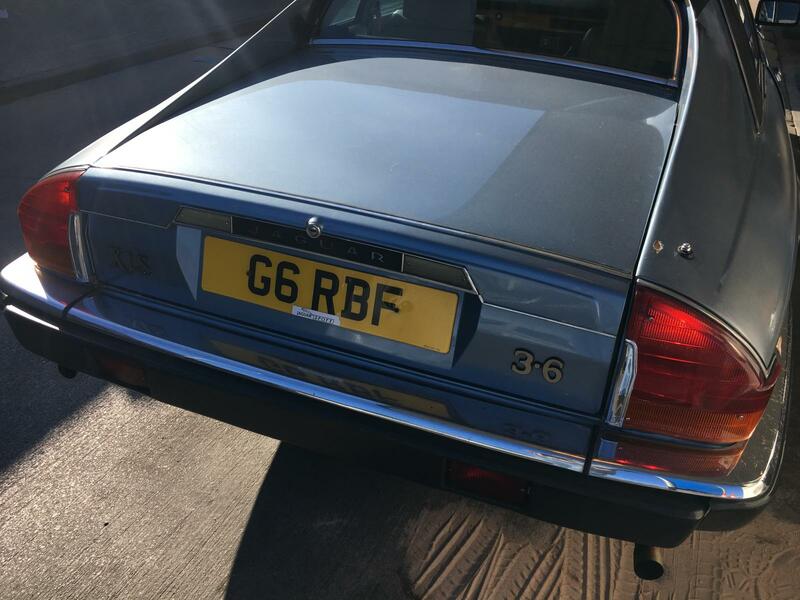 Always had a real hankering for and XJS but the rot terrifies me! Very nice, looked like a good buy especially with manual box. Apart from the steering wheel it all looks good in the pics. Some further thoughts and impressions after a quick spin. The clutch is very light and the gearbox easy to use. Driving it you feel really cocooned. 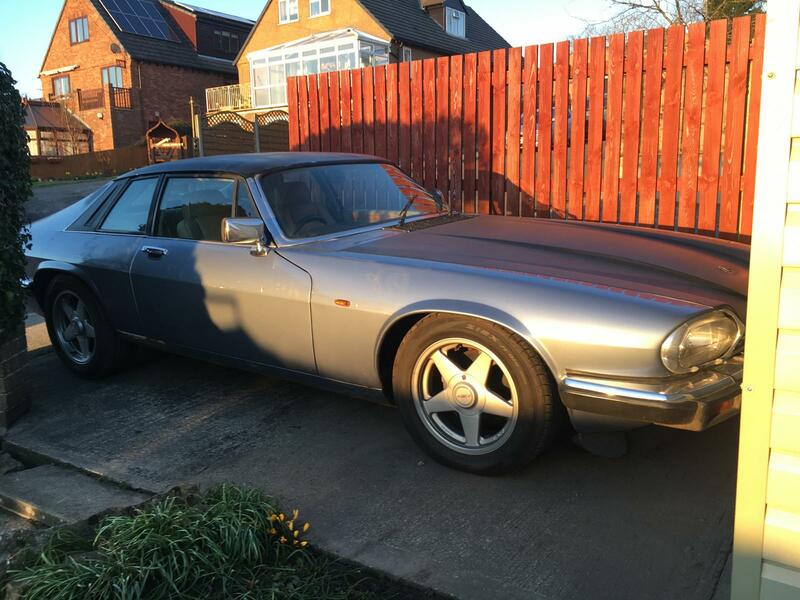 Also it's enormous and not particularly easy to see out off what with me being used to XJs. The engine is a peach and it feels quite lively. Must be pre-cat, pre O2 sensors on engine. It has cruise control. Luxury. Fuel economy is unbelievable relatively speaking. On the way back we got stuck on the M62 crawling for miles uphill, all because of a broken down lorry. The trip computer reads 28.5 MPG now. 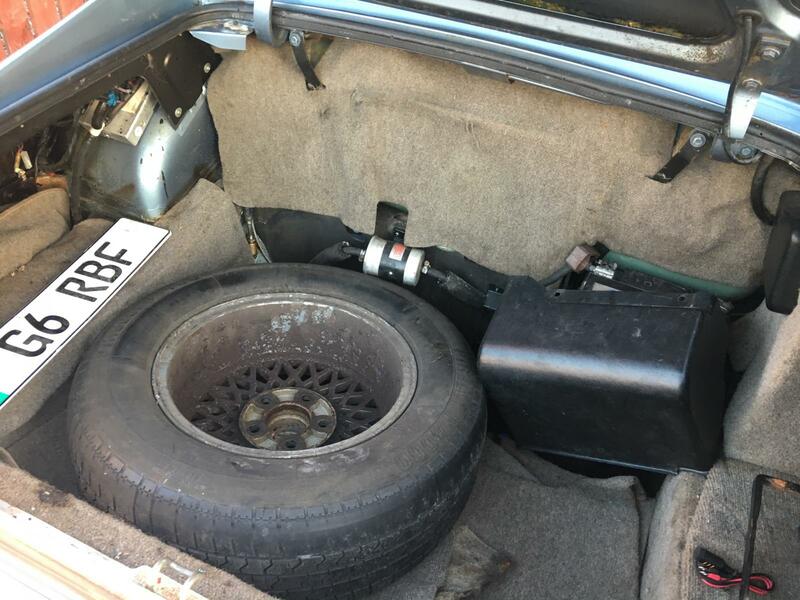 The previous owner claims he had seen close to 35 MPG. I believe him. The dash background illumination doesn't work and the fuel pump is loud. I think the pump is outside the tank, so that will be an easy fix. Nice! 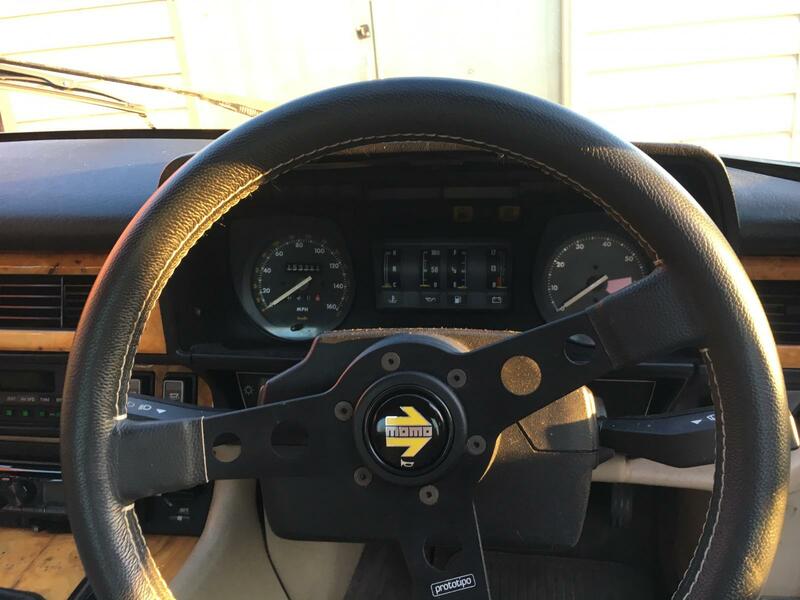 That steering wheel is very wrong though, but very right for my MX5 - PM me if you want to sell it. I dislike the steering wheel a lot in this car. I will try and get the correct wheel for it, and at that point the Momo will be for sale. Momo wheels are not really me. I like tweed. 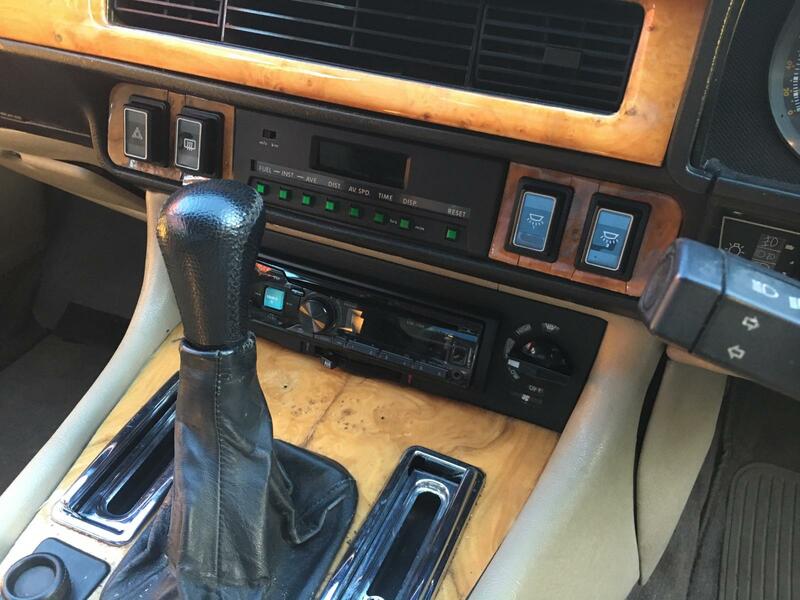 The XJS V12 was always an automatic, but I have heard of manual transmissions being retrofitted. 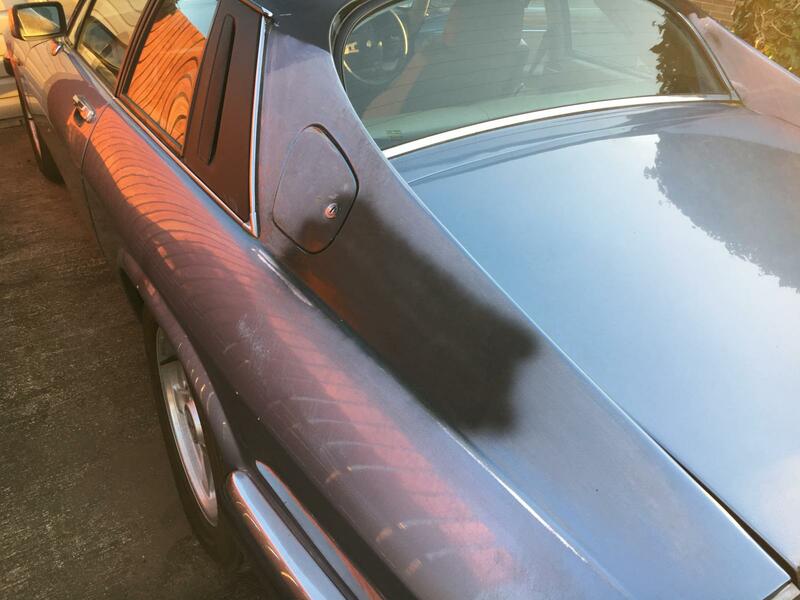 XJ40s XJ6 were available as a manual, the same is true for X300s XJ6. In all cases the manual was rare. Given how nice this is as a manual, it makes me really wonder just how excellent the XJR6 manual must be. I really doubt I will ever get anywhere near one of them though. Have you seen Harry Metcalfe of Harry's Garage on youtube XJC v12 with the manual box? It's a lovely thing. 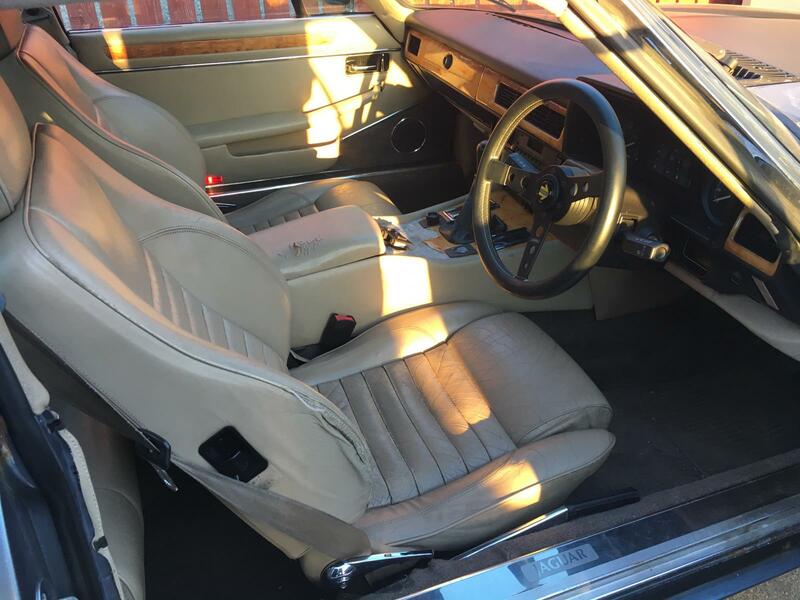 Early V12 were available with the old 4 speed manual box, not many people too them up. I had a 3.6 manual as well, great car and quick. Sorry for my ignorance regarding the manual box thing on the V12. That is news to me. Yes I have seen the Harry’s Garage video in question, that XJC is the bees knees. Something else I noted. The door keys are normal blade type, but the ignition key is Ford. Early Ford influence for what is presumably an 89 built car. This is lovely. And you have balls of steel taking it on. Looking forward to more updates! That's the massive advantage of the 3.6 / 4.0 over the V12s - ordinary mortals can afford to run them, you don't have to be a multi-bazillionaire like Xtriple. Never driven a manual Jag - good to hear the 'box is pleasant to use. I know from experience that manual Mercs are rare for a reason. Looking forward to reading more about this, always liked them but ot had the spuds to actually buy one. I averaged 13mpg over 1500 miles in my 4.0 XJ40. I was young with a heavy right foot though.